Shannon's information entropy  is defined by , where is the probability of , and the sum is over the elements of . 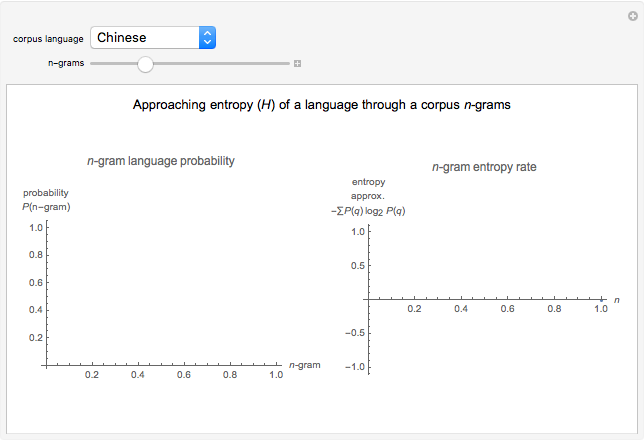 Shannon's entropy is a measure of uncertainty. An application is the redundancy in a language relating to the frequencies of letter -grams (letters, pairs of letters, triplets, etc.). 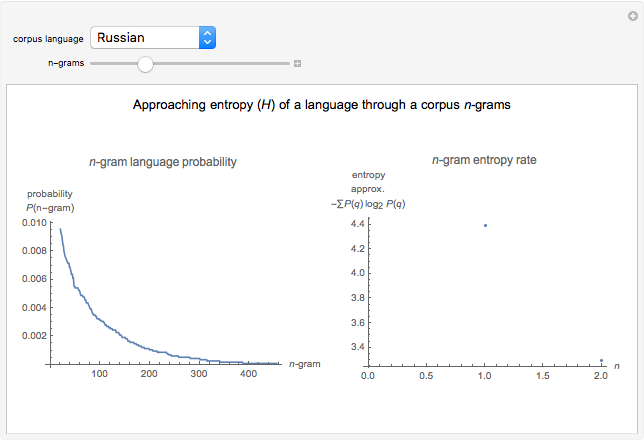 This Demonstration shows the frequency of -grams calculated from the United Nations' Universal Declaration of Human Rights in 20 languages and illustrates the entropy rate calculated from these -gram frequency distributions. 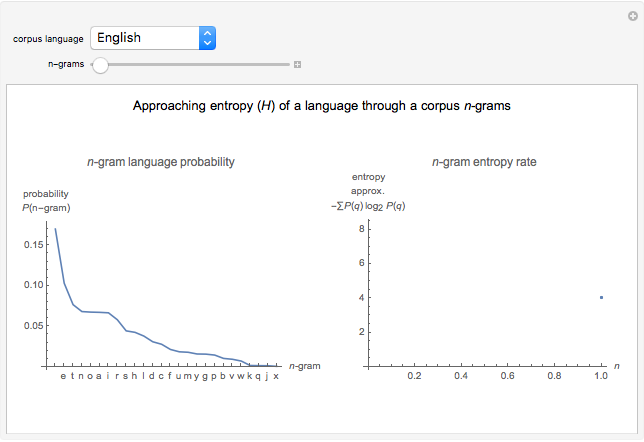 The entropy of a language is an estimation of the probabilistic information content of each letter in that language and so is also a measure of its predictability and redundancy. C. E. Shannon, "Prediction and Entropy of Printed English," Bell Systems Technical Journal, 30, 1951 pp. 50–64. www.ics.uci.edu/~fowlkes/class/cs177/shannon_51.pdf. Hector Zenil and Elena Villarreal "Prediction and Entropy of Languages"